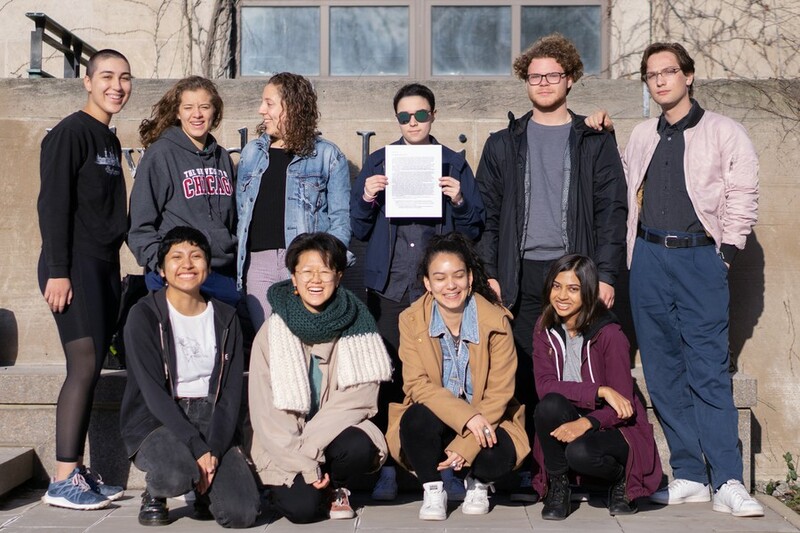 CareNotCops, an organization affiliated with UChicago United, held a rally at noon on Wednesday, April 10, outside Levi Hall, demanding that the University release its budget, specifically the funds allocated to the University of Chicago Police Department (UCPD). On April 3, the organization delivered a letter to President Zimmer outlining a list of demands to provide transparency regarding UCPD funding. The letter demands an account of what weapons are purchased and used by UCPD and the costs of patrolling a jurisdiction which contains over 65,000 residents, not all of whom are affiliated with UChicago. The letter argues that students have a vested interest in how the UCPD budget is spent, since student tuition is a large source of the University’s revenue. “It is not transparent how our tuition money is used. In particular, we do not know how much of our tuition money is being invested in the weapons and surveillance technology used by a private police force that is not subject to public oversight or FOIA access. This concerns us,” the letter reads. CareNotCops cited a well-publicized incident in which a UCPD officer shot a University of Chicago student in April 2018 as an example of the need for greater accountability. The letter mentions several examples of what they claim constitutes excessive force and racial profiling. The organization argues that the University must be held accountable for how much it spends on its private police force, and how UCPD uses its budget. The organization’s broader goal is to redirect some of UCPD’s funding towards mental health resources for students and community members and investment in a better support system for students of color which includes Cultural Centers and the Comparative Race and Ethnic Studies Department. This article was originally attributed to another writer, Aviva Rosman. The writer on this piece was Avi Waldman.